Botox® is an impressive tool that helps many people look more youthful and rested. The team at Forever Young Med Spa, in Archdale, North Carolina, offers Botox as one of many cosmetic treatment options. Forever Young also commonly serves people from Thomasville, Asheboro, and High Point, as well as people from Randolph, Davidson, and Guilford County. If you’re considering Botox and would like to learn more about the procedure, schedule an appointment by calling the office or using the online scheduling tool. During your consultation, you learn how Botox and other cosmetic treatments can help you achieve your aesthetic goals. Botox is the most popular cosmetic treatment used today that does not require surgery — more than 6 million men and women choose Botox every year. Botox, from Allergan, is made from the bacterium Clostridium botulinum. This bacterium is found in lakes, forests, and soil, as well as in the intestinal tracts of many types of fish, mammals, and shellfish. Botox is created from a neurotoxin that is poisonous, but the volume used in cosmetic and medical applications is incredibly minute and perfectly safe. Facial wrinkles and folds occur as your facial muscles move and stretch your skin. 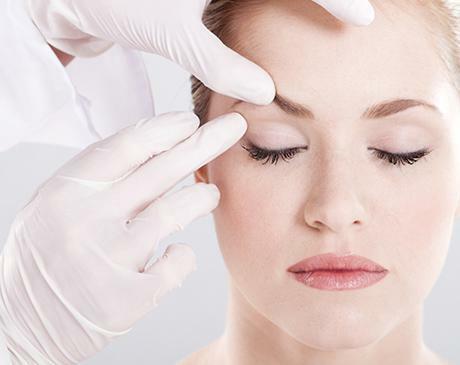 Botox works by paralyzing targeted facial muscles, smoothing out wrinkles and facial folds. Botox also has a number of important medical applications and helps treat urinary incontinence, eyelid spasms, chronic migraine, and nearly 20 other conditions. The Forever Young team is highly skilled at placing Botox injections in the proper position, helping you achieve your desired results. The procedure takes very little time, but full results may not become apparent until 24-72 hours have passed. In general, the effects of Botox injections last between four and six months. However, your first treatment may not last as long. The effects of Botox last longer after your muscles become accustomed to the botulinum toxin, so additional treatments will likely last longer. Botox has an excellent track record in safety, which is why it continues to grow in popularity. Potential side effects include mild nausea, fluid buildup, or redness at the injection site, headache, and temporary weakness of nearby muscles. However, the risk of side effects is low, especially with the Forever Young team. They discuss side effects and answer any questions you might have before administering Botox. Botox has helped millions of men and women feel better about their appearance. If you’re interested in giving Botox a try, schedule an appointment with Forever Young Med Spa today.